David is a critically acclaimed Songwriter, Dj, Producer, Remixer, Musician, Sound Engineer, Web designer & Artist! Most of his Releases have been staple in the World’s DJ Elite CD wallets and have been causing somewhat a storm from the very beginning! David has recorded under numerous guises over the past 12 years, but most recently under: Mystery, Roasted Soul, Funk Balls, Electrolysis, Dennis Clifford & Mystery & Matt Early. He is also Coffee N’ Crème/Espresso Music Co-Founder/Director! 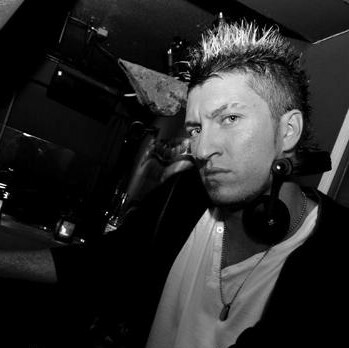 David is also ‘the’ DJ for ‘Erotica’ (Olympia/Earls court) which is the Worlds BIGGEST Adult entertainment event/exhibition, and has numerous weekly DJ Residencies across london. If you have MP3′s of songs that you would like David to consider for playing, or Songs you would like to put forward for Co-writing or Collaborating with please send me a message, (Don’t forget to include any work requests with your contact & Management information – this includes Dj bookings! Also dont forget to send me a message if you want something remixed Im always on the look out for great singers & producers to work with!! !